You can’t come to Thailand and not indulge in a massage, or few. But with every road in Chiang Mai swamped with massage places, it is easy to feel confused on where your money will be best spent. To help here is my little black book of where you can find the best massage places in this city, along with some common thai spa etiquette. I am in my own admission a bit of a massage addict. I must have tried out over 30 massage places here in Chiang Mai alone (for the sole purpose of work and researching this article of course, ahem). Places do vary hugely from being a very relaxing and beneficial experience for mind and body to being a complete waste of money even given how generally cheap they are, which is saying something. I have also tried a range of low to high end places can attest from my own experiences that just because you are paying more money it doesn’t automatically mean you will get a better service. I hope that by sharing my experiences and tips here, it will help you make sure that every massage you have is divine and beneficial for both your body and wallet. High end – these places are the ones that are most like a Western ‘spa’ experience and often offer facilities beyond the treatment alone. For example, they may have a bath house, steam rooms, personalised aromatherapy massage oils, beautiful landscaped gardens which you can walk around and relax in before/after your treatment. Some even offer complimentary services to add to the whole experience like a hot tub, pool etc so you can spend the whole day there. But to expect to pay fairly high rates for the luxury of these amenities. 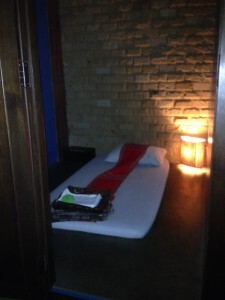 Middle of the range – there is quite a variance within these places but the one thing they all have in common (and the way I have defined this tier) is that all these places offer private treatment rooms. This means you get the privacy of having your treatment alone, or with a loved one if you wish as most have treatment rooms with two beds for couples. The majority of the places I recommend in this post fall into this category. Lower end – the name of this sounds a bit seedy and misleading. These places can still offer brilliant massages and indeed one of my favourite places to get a massage – coming in at number 4 in this post – falls into this category. Often the only difference of these places to the middle end tier, is that they tend to offer shared massage spaces. This means that you will be massaged on your own mattress on the floor with a fabric curtain separating you and other customers a few inches away. This tends to lead to a less relaxing experience as you can hear all the noise of other people talking etc. However, these places are as professional and clean as the middle range places. They still offer good customer service; they will wash your feet before treatments and serve you with a hot herbal tea afterwards just the same as the middle tier places. Golden Tip: In lower end places, I would recommend visiting early in the day because massage places tend to be quieter then. This means you are quite likely to be the only person in the communal massage room at the time. This has happened to me quite a few times which meant I got a private treatment experience for a snip of the price. Unlike with western oil massages, you keep your clothes on with a Thai massage (as can be seen in the photo below.) Before you start the treatment they will give you a clean set of loose clothes to change into and then apply pressure with their fingers over your muscles. Rather than a stroking motion used in oil massages, it is more firm pressing down over one area, then moving to another area before pressing down again. These massages tend to be quite firm and acrobatic; as they move your limbs in different positions so that when they press over your muscles you get the maximum stretch. Leave your shoes/sandals outside the door to the massage place. Feet are the least sacred part of your body in Buddist culture (which is the culture of Thailand). This is because they walk on the ground and get dirty. Therefore all massage places will wash your feet before you have any treatment as a type of ritual. Therefore wait for them to do this before you get ready for your massage. Do not lie down on the massage bed with your feet up until they have washed them. It is usual to tip for good service. In fact to tip for anything except bad service would be more accurate. How much to give varies according to the type of place, treatment and individual concerned. But 50-100thb is considered a reasonable minimum tip. To give thanks the Thai way, give it to them with a smile, a slight bow with your hands together like you are praying and say “ka/kab” (“ka” is what women say and “kab” is what men say). If you were not happy with your treatment or service (although I doubt that if you go to any of the places I mention in this post!) then of course you should speak to the staff about this during and after the treatment. However, unlike Western cultures it is extremely offensive to raise your voice in Thai culture, so remain calm at all times. To get there: 47/14 Samlan Rd. 5 minute walk from Saen Prung gate (south west gate of Old City). Get off at Saen Prung gate, cross the main moat road to the old city side and walk up Samlan Road for a few minutes. Kiriya spa is on your right hand side down a small drive, but there is a sign on Samlan Road so you cannot miss it. They offer a wide range of treatments with your usual suspects such as Thai massage, as well as some more unusual treatments for Thailand like a Swedish massage. They also offer a wide range of mouth watering body wraps that sound good enough to eat such as papaya or chocolate almond. I chose the oil massage. They offered me a selection of oils to choose from and I went with the blueberry oil which smelled divine. I have found that oil massages tend to not be done very well in Thailand but this was the exception; it was best oil massage I have ever had (and trust me I’ve had quite a few!). It was firm so that I felt it deeply working my muscles but at the same time relaxing so that I nearly fell asleep. This is a rare combo to find not just in Thailand but anywhere. Prices are a little on the high side but bearing in mind the quality of experience you get for your money – and how it is still cheap compared to what we’d pay in the Western world – it is still good value for money especially for a high end tier place which I consider this to be. Prices range from 500thb for an hour Thai massage or foot massage to 1,000thb for an hour oil massage and 2 hour spa packages starting from 3,000thb. This cute peaceful little spa house is located off the main road down a small driveway. It is beautiful and serene location with no noise apart from the sound of water trickling down the stones. There is a footpath leading from the main building where the reception is located to the separate treatment rooms. The treatment room was perfectly clean with flowers on the bed and in dishes of water (including the one they wash your feet in before the massage begins) as well as gentle music playing and low light which set a relaxing mood. From when I arrived at the reception, a lady greeted me and welcomed me in to show me the treatment menu. She spoke very good English so asking any questions I had was not an issue. She then asked me to smell their large selection of oils to choose which one I wanted to have during my massage. I was then shown to my room and introduced to my masseuse. She was very polite and again spoke good English. She washed my feet in warm water with flowers and used fresh lime to scrub my feet before leaving the room to let me get changed. The masseuse didn’t speak or leave the room throughout the treatment so she was very attentive and it felt extremely relaxing. To get there: 59/8 Nimmanhaemin Rd. If you walk down Nimman Road from Maya shopping centre it will take you about 10 minutes to get to soi 17. With soi 17 on your left hand side keep walking for a few more seconds and you will see a car park on your left. 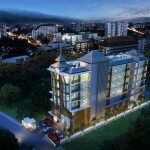 Walk to the bottom of the car park and you will see Nimman House. I have always enjoyed my treatments here and there is a very wide range of treatments to choose from. 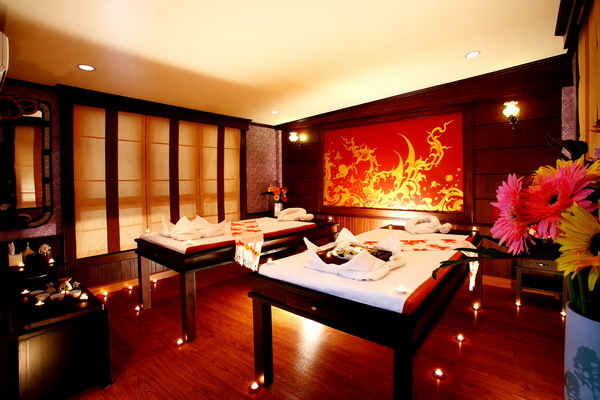 I have tried the Thai, oil and foot massages plus facial and body scrubs. They were all carried out well with firm pressure and attentive staff who focus on any areas that you ask for special attention. I can’t fault the technicality of the treatments so far. However, do note that Thai facials rarely feature steam and extraction so it is more like a facial massage with cleansing and mask. However nice none the less. The reason I did not give full marks is that the treatment rooms have mattresses on the floor rather than raised beds (as you can see in the photo I took). Some people may not care but I have tried hard to get over this, and I just can’t. To be it makes it feel less luxurious. They have the best prices I have found out of everywhere I have gone, and then on top of that their treatments and service are excellent. So overall this is the best value for money I have found. An hour Thai massage will cost you 250thb, an hour foot massage 250thb, an hour oil massage 400thb, and a body scrub 500thb. They also do awesome packages, and you can pretty much pick whatever treatments you like and they will package it up and give a discount. I never spend less than 3 hours in here everytime I go for little more than 1000thb (£20!). The reason why this place loses a point from full marks is that the treatment rooms have mattresses on the floor rather than raised beds as I mentioned above. Apart from that the rooms are private, and have a low relaxing light and nice brick work walls. There is also a treatment lobby seperate from the reception room, which has low light, relaxing music and some nice flowers. This place never seems to be that busy so always serene. I consider I have found a hidden gem here. The quietness and calmness of the place is apparent from when you enter their courtyard with the sound of the water fountain trickling away to the quietness of the treatment rooms. I can’t fault it. The staff speak basic English so they understand what they need to in order to deliver your treatments to your needs but are not great conversationalists. There is always a staff member in reception to sit you down with a menu and a drink before you choose your treatment, and then a biscuit and hot herbal tea again when you finish. To get there: There are 3 Oasis Spa locations in Chiang Mai alone (and then some in Bangkok also). There is one near Nimman Road, one near night safari in far South East of Chiang Mai, and the other next to Wat Pra Sigha Temple, and walking distance to Sunday Walking Street in East side of Old City. However, wherever you are and whichever branch you want to go they have free car pick up to make it super easy for you. I had an exotic Tok Sen Lanna massage which is basically an all over body oil massage with use of a small wooden mallet which they use to hit over your back and shoulders to un-block the meridian lines in your body . This was a lovely treatment and a very good oil massage which as I have commented on I have found rare to find in Thailand. However, the use of the wooden malot lasted about 5 minutes and cost significantly more than a standard Thai or hot compress massage so for me fell down on price but the actual treatment was very relaxing. I also had a shirodhara head treatment where they dripped hot oil on your head to relax you and gave you a scalp massage. I have a bit of a weak spot for scalp massages and this one was divine. I went with my mum who had the same treatment along with herbal hot compress massage which she really enjoyed. She said it was very gentle which she wanted (not like the hot compress massage I had in Bangkok where the lady whacked me over the head with the compress!) although the compresses were a little hot at times she said. This is where I felt Oasis spa fell down on price. The prices are pretty high however I thought they could have been worth it if it was a 20/20 experience. But due to the lack of facilities and the limited use of the wooden malot on my massage treatment as I mention in this review, I thought it was a bit over-priced. It costs 1,000thb for an hour Thai massage, 1,200thb for an hour foot massage and more for the exotic treatments like those we had. 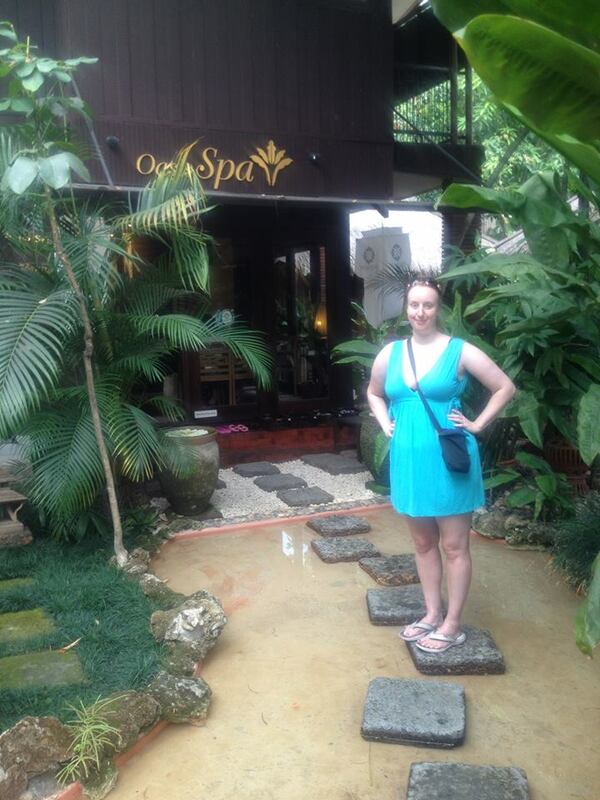 As you can tell from the photos, the decor and landscaping of the spa was very beautiful. The light sound of relaxing music and trickling water as you walked over the paving slabs to get to the spa entrance was a warm welcome of what to expect. And although set back from a very busy main road, you could not hear a sound. 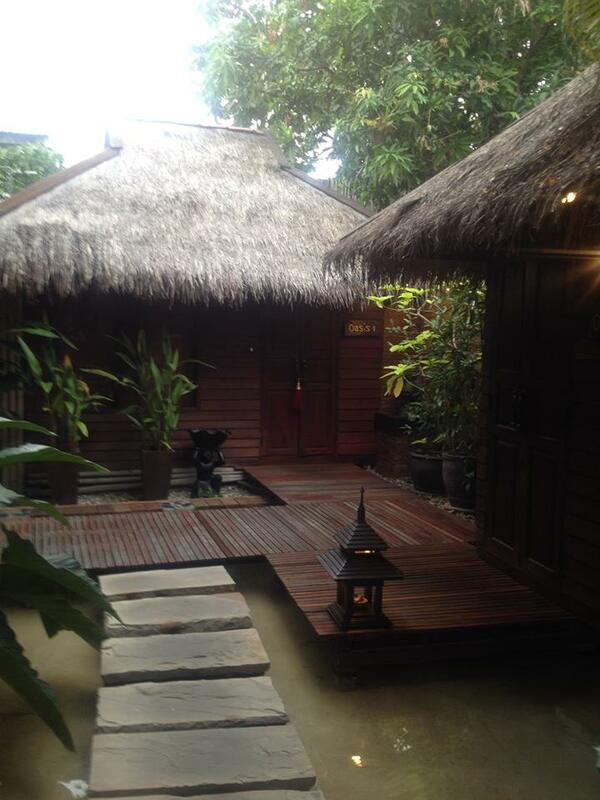 The wooden huts where the treatments are carried out are furnished beautifully with private outdoor shower areas. However, where this place lost a point was its lack of amenities. For a high end spa, I would expect extras like an outdoor seating area where you can relax with a book and your drink before or after (or even in-between and make a day of it!) your treatments. There was also no washing ritual like a bath, pool or sauna to use before your treatment either. They have a free car pick up and drop off service which you can order by emailing ahead. This was a nice extra touch and added to the relaxation of the experience by not having to worry how to get yourself there. Once you arrived you were welcomed with a cool herbal tea drink. The staff were all very friendly and looked gorgeous in their matching Thai outfits. They spoke good basic English so could communicate with them. They gave you a questionnaire to complete before your treatment asking how you like your massages and any medical conditions, and a questionnaire afterwards as well. I have since got an email with another questionnaire when I got home so they really care about finding out how the experience was for you. To get there: Nimmanhaemin Road, near soi 1. The building is situated on the main Nimmanhaemin road which is an up and coming trendy area of Chiang Mai and just outside the old city. It is just next to the opening for Soi 1 Nimmanhaemin road (Soi is the Thai word for side street) or a few minutes walk from Maya shopping centre which sits at the start of Nimman road (it will be on your left if you walk from Maya down Nimman road). As you can see from the photo above, the front is rather sparkly and hard to miss. I have mixed feelings about the treatments at this place, and the reviews I have read by other people on Tripadvisor seem to feel the same. In general they are very good. Good enough to beat the many other places I have been to make it into the top 5 list.So we are taking about degrees of good here. And I think the degree of how good does largely depends on the masseuse you have. 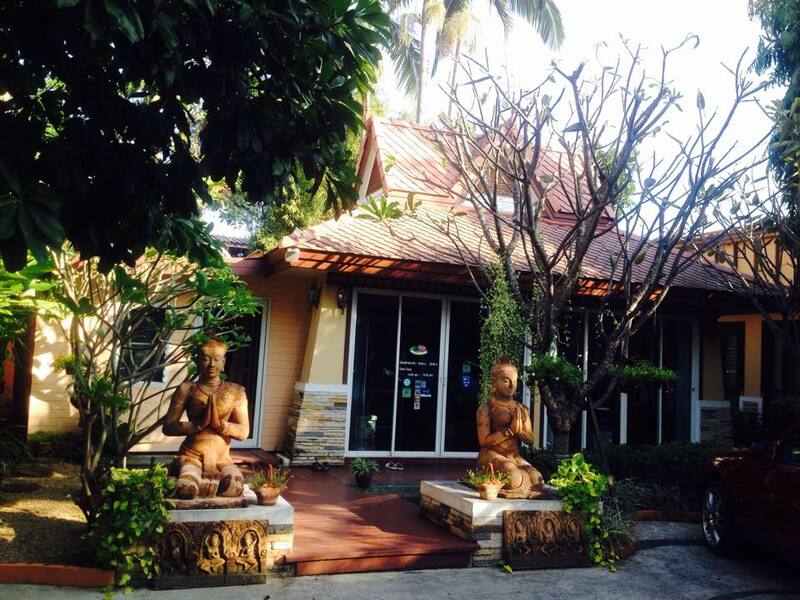 I would recommend the Thai massage here. I have had several and some have been very soft, and others a bit too hard. Thai massages involve pushing on pressure points rather than the stroking movement common on oil massages. They also involve acrobatic moves where they bend your limbs in certain positions (see the photo near the top fo the post). The Thai massages at this place tend to be the most acrobatic I have had and the masseuses definitely put a lot of effort (and energy) into delivering a solid massage. I had an oil massage here which was too soft for my liking, and a thai one which was too hard but apart from that I have been impressed. I would also strongly recommend their foot massages. They do their foot massages in a large and seperate room from the treatment rooms. This is not a private room as there are about 10 chairs in there but it is quiet and seperated from the reception (many places the reception doubles up as the foot massage room which is not relaxing). Plus the room is often empty so not noisy. They have a line of huge leather reclining chairs and comfy blankets, low lights and calming music whilst they give you a firm foot and leg massage. Prices are very reasonable and unlike many places you get the full time for treatment (walking up and down from the room and getting ready is not included in your treatment time). The prices went up slightly in March this year by about 50thb a treatment. 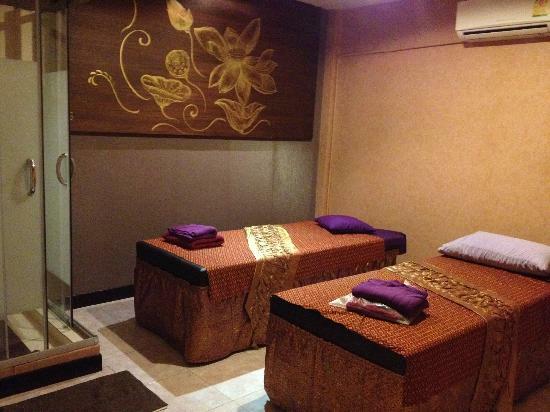 An hour Thai massage now costs 300thb and 90 mins 450thb. An hour foot massage is also 250thb. This place do some packages for 1 hour, 1.5 hour and 2 hour where you get a mix of treatments for less than if you paid for them individually. However the packages are fairly limited and you cannot mix and match to make your own. Also to note they will ask for full payment upfront before you start your treatment sadly due to some people leaving and not paying before. 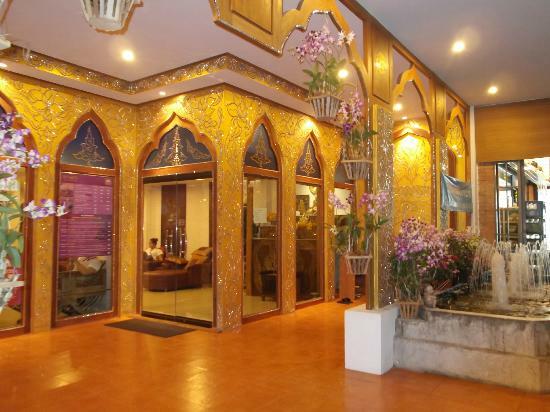 The reception area is decked out in some nice traditional Thai furniture. Indeed I liked their lightshade so much I bought it from them! They have chairs where you sit and have a hot herbal tea after your treatment. Before your treatment starts they will take you to the foot baths where they will clean your feet and give you a pair of sandals. They also have lockers for your belongings. There is gentle music playing and all the staff wear matching traditional outfits. Where it lost a point is that due to the popularity of the place and the fact that some of the treatment rooms although seperate have sliding doors with a gap above meaning noise can travel, it can be a bit hectic and busy at times with people’s voice carrying over the music. The staff here are very nice and on 95% of occasions I cannot fault them. One visit my masseuse did talk to another staff member during my treatment (there was a gap over the sliding door between the treatment rooms that meant they could do that) which was bad service. However apart from that they are always attentive, polite, smiling and very focused. So there it is: my top massages places to go in Chiang Mai. Have you been to any of these – what did you think? Or do you have your favourite place that you think deserves to be on this list? If you want some ideas on other things to do in Chiang Mai, besides massages, then my friends over at Two Wandering Soles have put together a great post on some more unusual things to do in Chiang Mai. If you are thinking of moving to Chiang Mai then do check out my other post on how to find somewhere to rent in this city. Can you speak a bit about what a person wears when patronizing a spa? Also, anything else in terms of etiquette that a person should be aware of? I’ve been spending time in Chiang Mai for the last five years and must say – for me – the best Thai massages in town are from the women at the various branches of Lila Massage. If I recall it was 350baht for a one hour Thai massage, and you’re a new person afterwards. Can you give me some tips for massage centre near the airport. Usally when i check out fr the hotel at 12.00pm and is to early to check in for my flight to malaysia. Thanks for this list, very helpful. I’m curious why some of the Tripdadvisor top-rated Chiang Mai spas didn’t make it on your list, such as Cheeva, Fah Lanna, and Kiyora. Have you visited them and found them lacking? We’re looking for a high-end spa with some amenities you mentioned like a seating area and pool, bath, or sauna, however we are hoping to stay within a decent price range which excludes some of the resort spas like Dhara Devi and Anantara. Any advice? Thanks! I did indeed visit some of those other spas that you mention but preferred the places I list, and I also wanted to give a nice spread of different massage places on this article not just feature the most expensive places in the top 5 massage places. Of course the top end spas will offer more of an “experience” that some of the cheaper massage places I offer but overall, I really loved the places I listed (and I tried A LOT of places in Chiang Mai!) 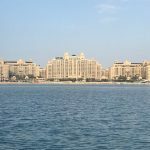 Are you looking to stay in a spa/hotel or just visit a spa for a day? Thanks for the reply! Yes we are just looking to visit a spa one day while we’re there, and as I mentioned, we’re hoping for something really nice and luxurious succumbing to the big fancy resorts. So it sounds like your top rec for that would be Kiriya Spa Vanna? Thanks, very informative! I’ll check out one of these places when I get there. Wonderful list! I plan to visit the ones I haven’t been to when I’m back in Chiang Mai in a couple months! I’ve been struggling to find good mid-range places that have a head pillow/donut as part of the bed. After a couple hours of massage with my head cranked to the side, I need a new massage! Any suggestions? If it’s on raised bed, it’s an instant turn off for me. Thai massage is supposed to be done on the floor. Doing them on the floor really limits what can be done. The ninja masseuses do the best they can on the raised beds though! Spot on recommendation for Nimman House. A far more relaxing experience than my first attempt at massage in at Lila, where it felt a bit like an assembly line. The Thai massage was brilliant, painful in parts, but just what I needed. I do wish that I had seen your tips on etiquette before I went to my first massage. I think I made all the same mistakes,still feeling guilty for not tipping. Thanks for the post, really useful. Very useful article, we tried both the nimman thai massage and arisara Thai massage and had an amazing pleasant experience. The info provided here valid true for till now ! I would like to get contact information for what I would refer to as a massage clinic. I am thinking it is on the Thapae Gate side, just inside of the old city. 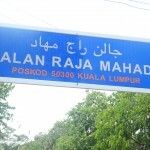 It is down the street to the right if you are standing inside the old city facing outward toward Thapae Gate. When you go in, you pay your fee at a reception office, then you are given one of several massage therapists, some men and some women. The massage is given in a common room with maybe six or eight clients being massaged. We went there twice a few years ago, and would like to recommend it to a friend who is going to Chiang Mai soon. We will send him your web page as well as a reference. Thanks for your helpful post! 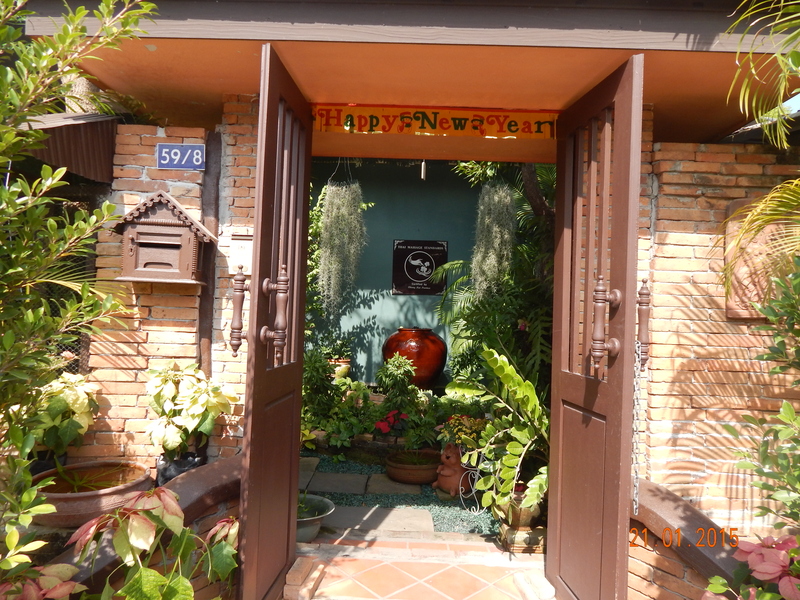 We went to Nimman House based on your recommendation and had a great experience. Hi Just. Thanks for the list of massage. Just want to update on le lux. Went there looking for le lux as we were nearby. But I guess they changed their name or management. Decided to go ahead to try it . It was totally empty. And the staffs werent sure of what the pricelist was showing. Quoting us more than what it should be. Wasn’t the greatest experience. Thank you for updating me. I definitely don’t want to send people to the wrong place if they have moved so I have removed it from the list now and updated the list with recent places. I hope you managed to get a good massage during your stay somewhere else though. All the best. Wow, what a great article! Is it bad that I want to try all these places too? Thanks so much for this round-up, now it’s time to get a massage! Thanks Ben. Enjoy the massage! Thanks for letting me know Helen, I will be sure to add it to my list! thxs to you and your blog ! Thanks for such an incredibly thorough list. I love TripAdvisor, but I love lists like these more. From someone passionate and experienced in the topic, whom has tried a plethora. I am about to be in Chiang Mai, arriving late this week, staying for one month. Out of curiosity, when was this list published? I can’t seem to spot a date. Apologies if I’ve just missed it. Look forward to hearing from you, and will be sure to report back regarding my experiences based on your fab recommendations. Hey Susan, Ah if their website isn’t working then it will be a case of visiting them in person when you are nearby. But well worth a visit! A lot of these spas unless very high end don’t place much emphasis on their websites so it might be a case of not updating it/paying it much attention.